I am certified Indian CA. I also hold DIP - IFRS from ACCA -UK. I have gained accreditation/ experience in US GAAP and IFRS accounting from KPMG. 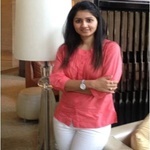 I have an experience of working...Read moreI am certified Indian CA. I also hold DIP - IFRS from ACCA -UK. I have gained accreditation/ experience in US GAAP and IFRS accounting from KPMG. I have an experience of working with KPMG - Big 4 accounting firm for a period of 15 years. I now run a boutique consulting firm providing outsourcing solutions such as Accounting, payroll, tax Legal and other compliance to a number of satisfied clients. We also provide consultancy with regards business plan making and Investments. With my knowledge and experience I always provide quality service and timely service based on international professional standards to all my client. Our financial consulting firm provides end-to-end accounting, financial and advisory services. Our mission is to work with its clients as partners and provide customized, professional and holistic solutions to our clients.